Dr. Yousuf completed his Doctor of Dental Medicine in 1995 at the University of Louisville School of Dentistry. After completing a one-year hospital fellowship in General Dentistry at Illinois Masonic Hospital, he completed his specialty training in Periodontics at the Indiana University School of Dentistry. He currently holds a Master’s in Oral Biology from Indiana University as well. 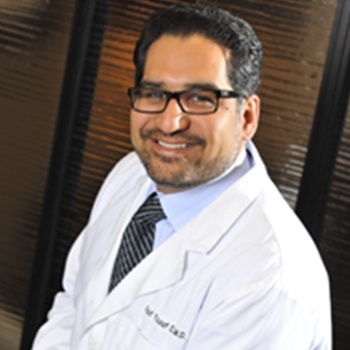 Dr. Yousuf has completed extensive continuing education courses over the length of his career and specializes in all aspects of Periodontics, including soft tissue grafting, bone grafting, dental implants, crown lengthening, and reconstructive periodontal surgery. In the past, he has served as a Clinical Associate Professor at the University of Illinois of Chicago and also had a limited Private Practice that was affiliated with the University of Chicago. What Dental Organizations Are You A Member Of?